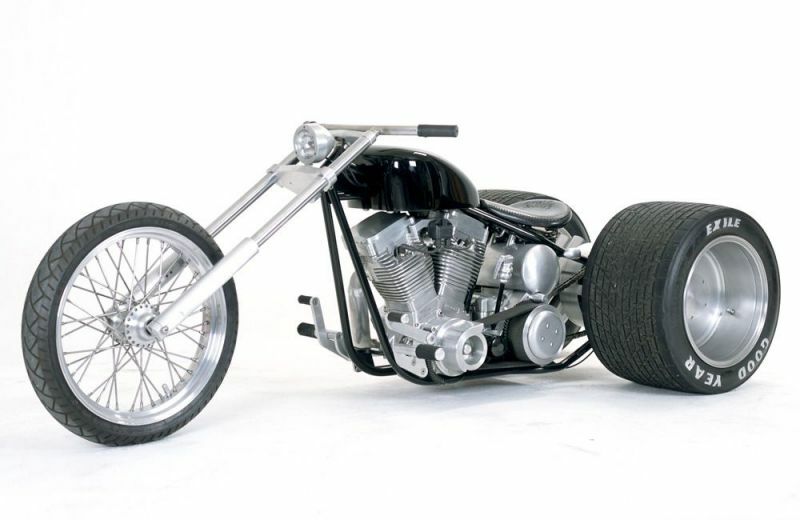 This beast was originally conceived for Discovery's "Biker Build Off". 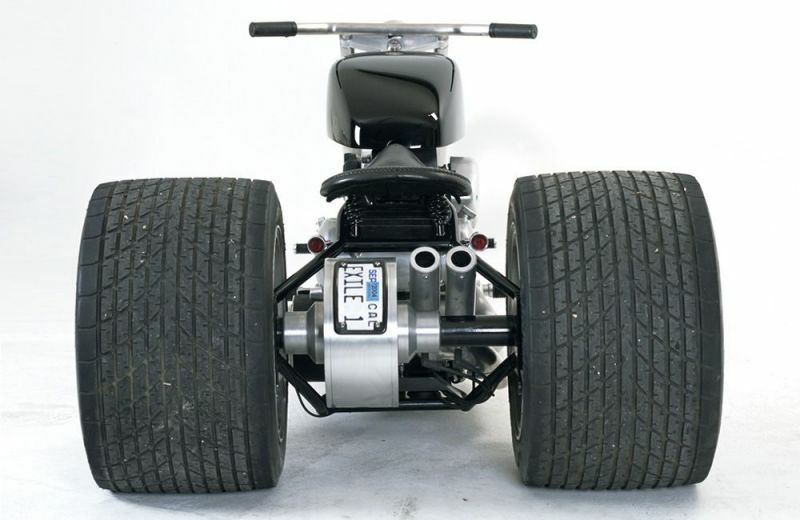 The Trike is a thoroughbred Exile machine parked between two 18" wide Formula 1 tires! 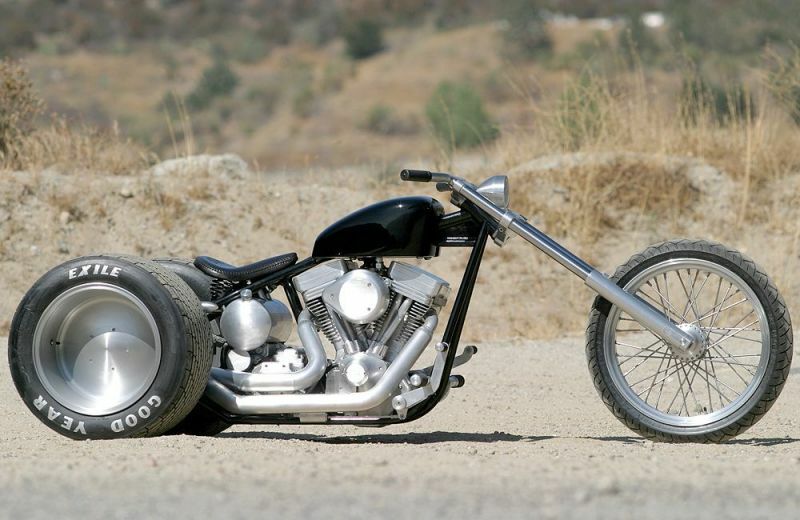 Truly awesome!